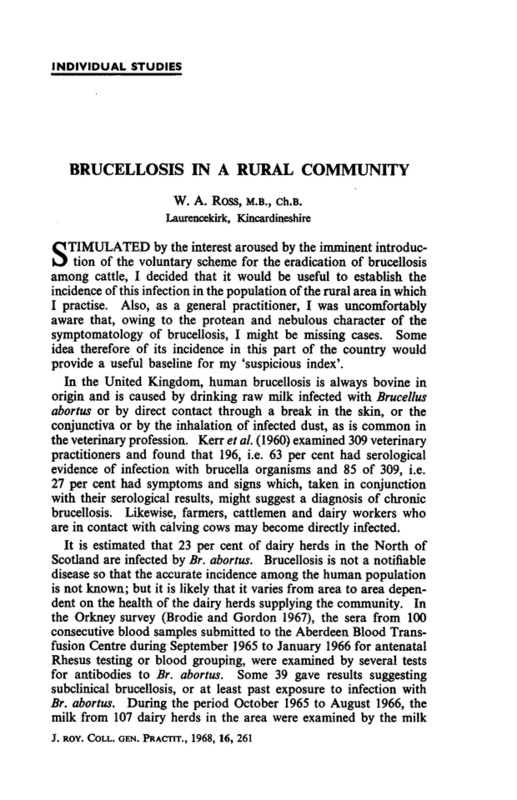 Brucellosis in a rural community. J R Coll Gen Pract 1968; 16 (4): 261-267. You are going to email the following Brucellosis in a rural community.